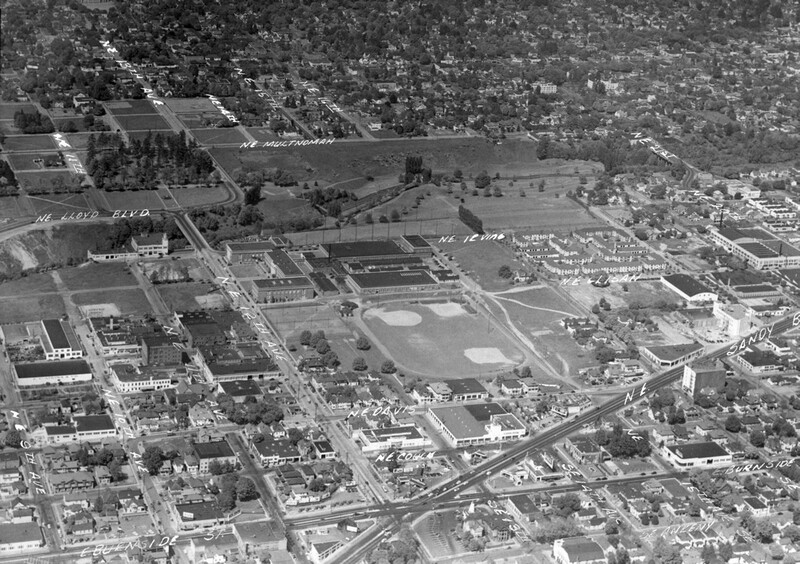 Some pretty nice detail on this 1938 aerial image of inner Northeast Portland. Burnside, NE 9th, the site of the future Lloyd Center and NE 20th to the east frame the pre-freeway Sullivan’s Gulch in the middle. 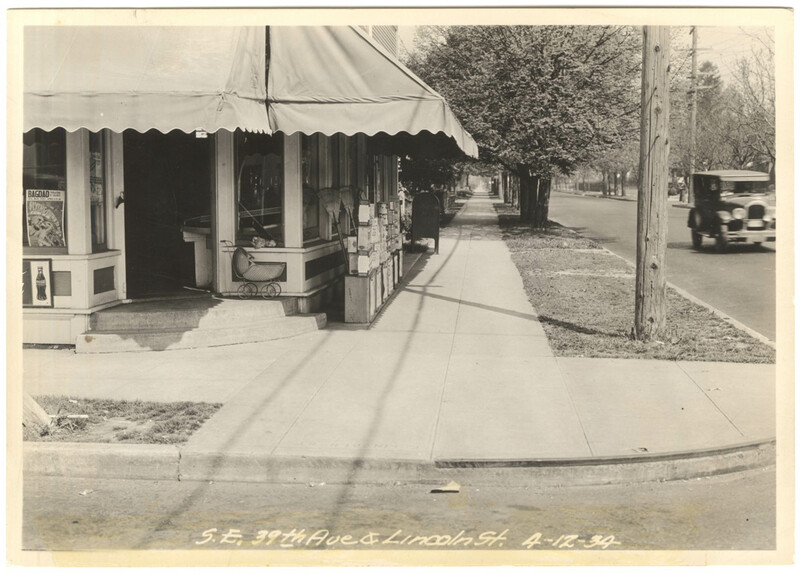 The corner shop at SE 39th and Lincoln is still with us today, minus the awning. The grass parking strip has been lost to another lane of traffic for Cesar E Chavez Blvd., so it doesn’t look quite as suburban and quaint as it did in 1934. Grading and excavation of Reservoir #6 on Mt Tabor continues in this 1910 image looking southwest from higher up the hill. 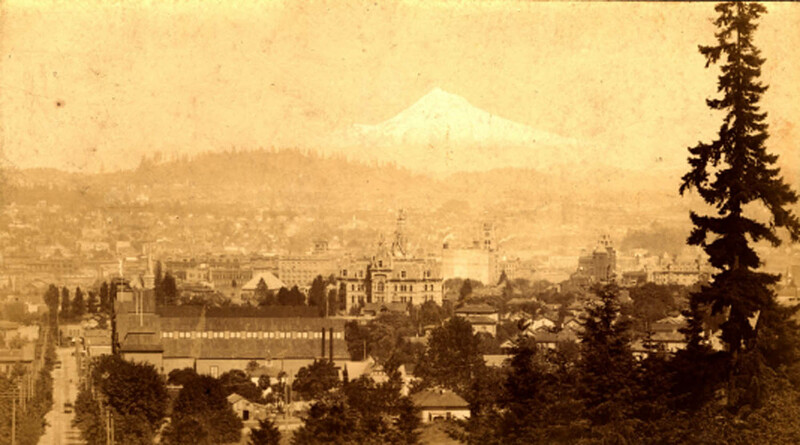 What’s densely built Southeast Portland now was pretty sparsely populated in 1910. 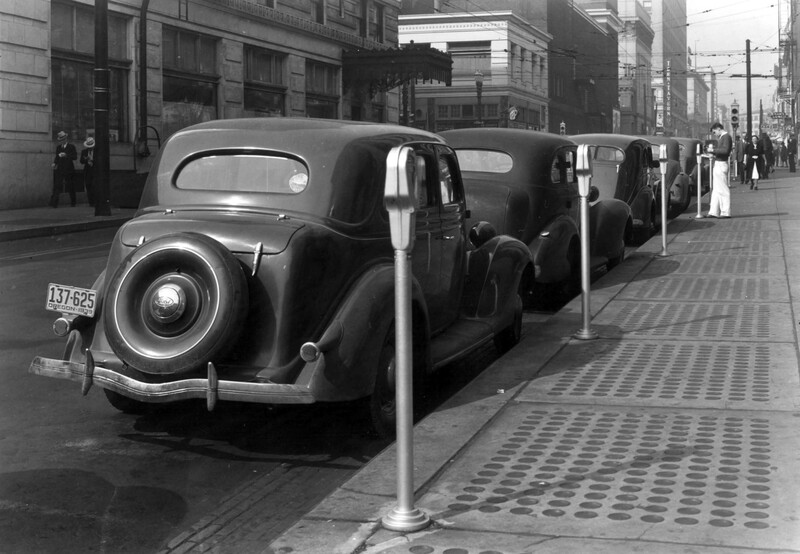 Parking meters in 1939 didn’t demand $1.60 and hour like they do today but they still had to be fed. The gentleman in the white pants seems to be servicing one. This view west on SW Stark from 6th towards Broadway shows the old Imperial Hotel (now Hotel Lucia) on the near left with Rucker’s Coffee Cup across Broadway. 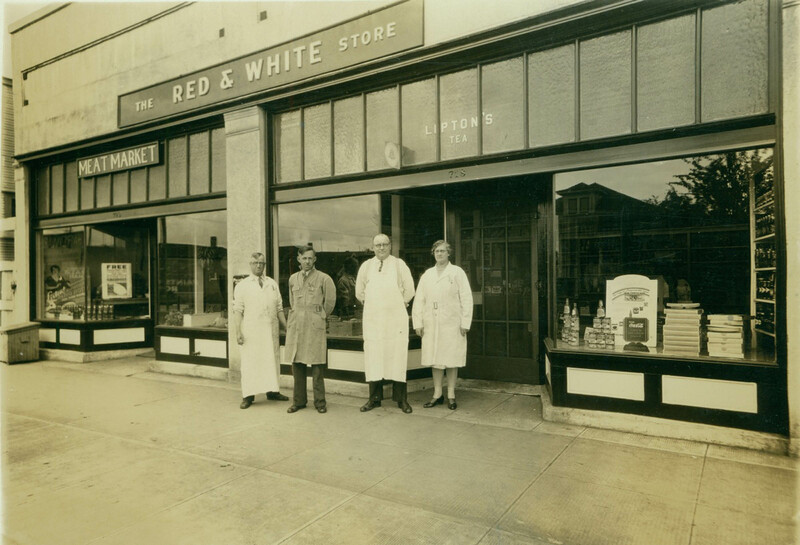 The fairly serious-looking staff of The Red & White Store pose outside of their shop in this fine 1931 photo. The store was on NE Alberta Street between NE 20th and 21st Avenues. The building still exists although the home reflected in the window is long gone. Looking east to Mt. 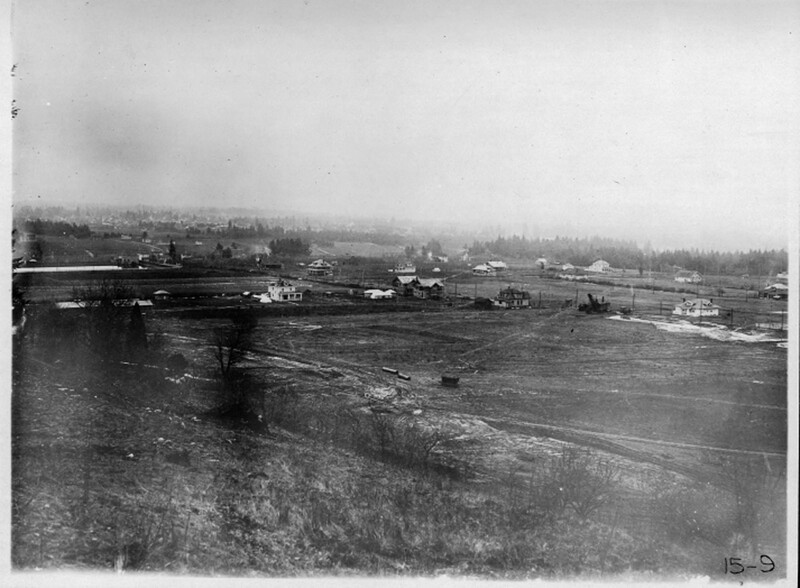 Hood in 1898, this view from City Park (now Washington Park) shows Portland spread out and beginning to rise. The Chamber of Commerce Building, Portland High School, The Oregonian Building, the Marquam Grand and the Portland Hotel all stand out in this excellent photo. The large building in the foreground was the Exposition Building on W. Burnside (then Washington Street) between 19th and 20th. 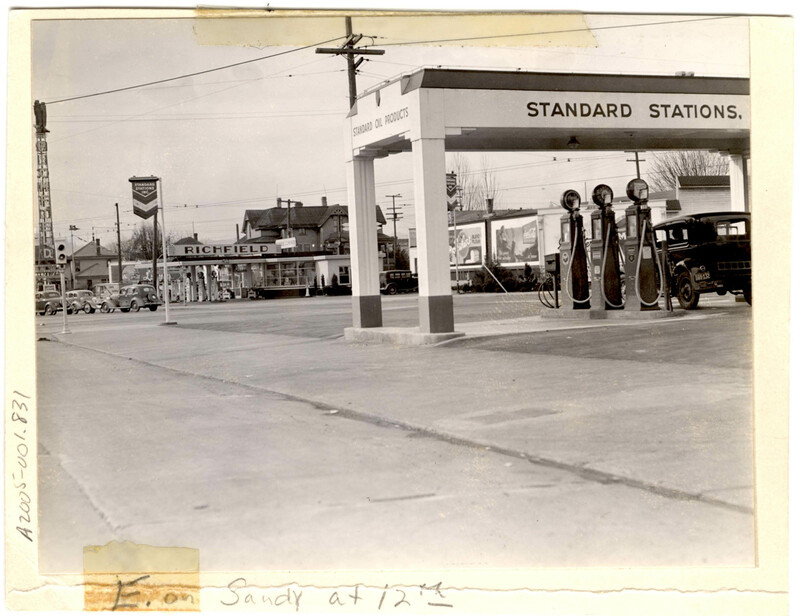 This 1937 photo is a little different perspective on the E. Burnside, NE Sandy and 12th intersection seen on this site a number of times. Today we’re looking northwest from just east of 13th Avenue on Burnside with NE Sandy Blvd. cutting between the Standard and Richfield service stations. Cars are lined up for the light at 12th. You can see an aerial view of the same intersection here with the Standard station in the upper left.